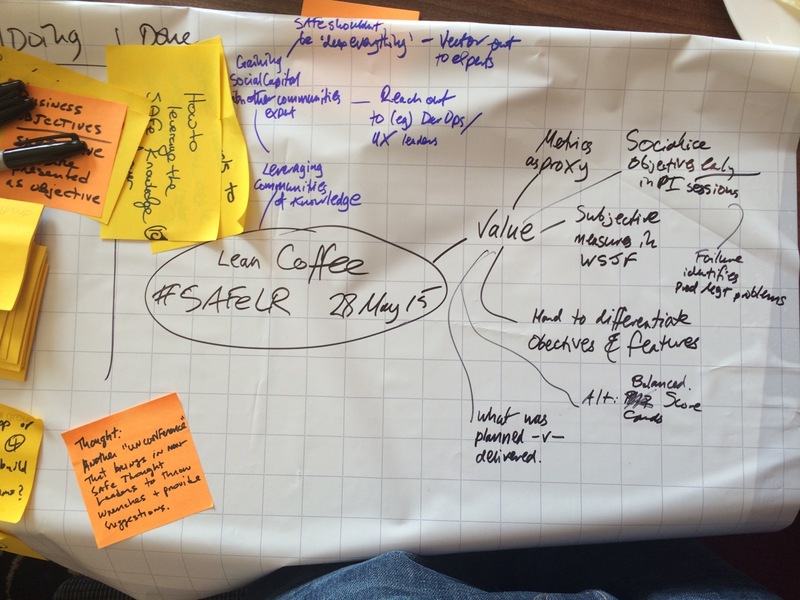 We held Lean Coffee over breakfast on Thursday morning, inspired by 5 years of practise in Stockholm, and a little less in Glasgow. We moved to a bigger table! Now that’s what I call a brains trust!